Latvia had stunned Europe just by qualifying for the 2004 edition of the European Championship. They finished second in their group, ahead of established power Poland, and then stunned Turkey over a two-legged final to qualify for their first major tournament. In their first match, they lost 2-1 to Czech Republic. It got even better, however, as they defended for their lives, and ground out a goalless draw with three-time champions Germany. The brave Latvians would bow out after a 3-0 loss to Netherlands, but could hold their heads high after leading the mighty Germans to being eliminated in the group stages. Belgium hadn’t qualified for a major tournament in 8 years, but came out and drew England 1-1 in their first match. In their second, they stunned Spain 1-0. The Spanish weren’t what they are today, but they were still considered one of Europe’s greatest teams in 1980. 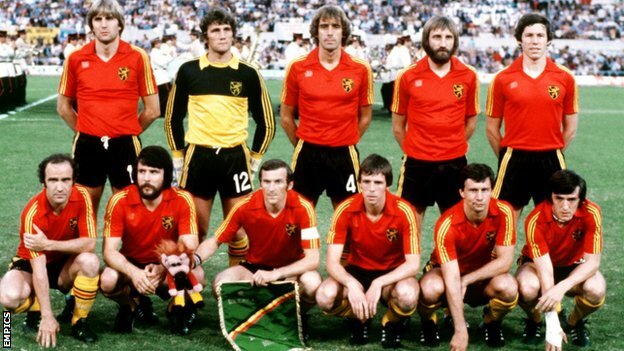 A goalless draw with Italy would be enough for Belgium to advance to the final as the top in their group, and lost 2-1 to West Germany after a goal two minutes from the end. They might have been second best, but the Belgians had lit up the tournament with their offensive-minded play. The cup also marked the beginning of a golden age for Belgian soccer, with the team finishing 4th in the 1986 World Cup. It wasn’t the fact that Turkey had beaten Croatia that was shocking; it was the way they won the match. Just to get to the 2008 quarterfinals, the Turks had stunned the Czech Republic by coming from 2-0 down to win 3-2. Their match against Croatia ended 0-0, and went on to extra time. When the Croatians scored in the 119th minute, the second-to-last minute, they understandably celebrated as if they had just won the match. But, Turkey scored on the last kick of the minute, in the latest ever Euro goal. The Croatians were visible shaken in the penalties, and fell 3-1. Back in 1976, there were only four teams in the Euros. Czechoslovakia had upset the Netherlands 3-1 to reach the final, while West Germany edged Yugoslavia 4-2 after extra time. Coming into the match, the Germans were huge favorites, but Czechoslovakia went 2-0 ahead after only 25 minutes. However, a 89th minute goal sealed a huge comeback from West Germany, and the match eventually went to penalties. 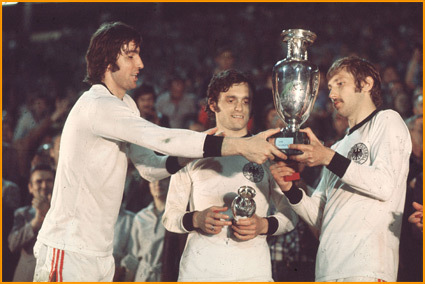 The Czechoslovakians calmly put away all five penalties to win the tournament, with Antonin Panenka scoring the final penalty with a delicate chip, which would make him famous. The Netherlands had made a mockery of the tournament’s “Group of Death” in 2008, defeating Italy, France, and Romania, and outscoring their opponents 9-1. They had suddenly become favorites for the title. 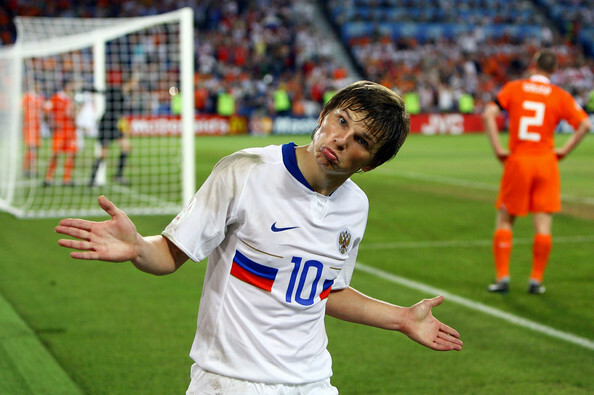 But the Russians, who had lost 4-1 to Spain in their opening match, had other ideas in the quarterfinals. Ruud van Nistelrooy saved the Dutch by scoring in the 86th minute, and the match ended in a 1-1 draw. But the Russians scored two goals in four minutes to complete a 3-1 victory after extra time. Russia would lose, again to Spain, in the semifinals, but had already made their mark on the tournament. Sweden has always been England’s “bogey team”, and this was obvious at the 1992 Euros. Sweden had drawn 1-1 with France, and beaten Denmark 1-0. England, meanwhile, were playing for their tournament lives after two dour 0-0 draws. England went ahead after only 4 minutes, and went into half time with that lead protected. But, the Swedes came out attacking in the second half, and two goals sealed the upset, and a place in the semifinals. There, they would fall to Germany in a 3-2 thriller. England, meanwhile, were ravaged by their media after finishing the tournament last in their group. 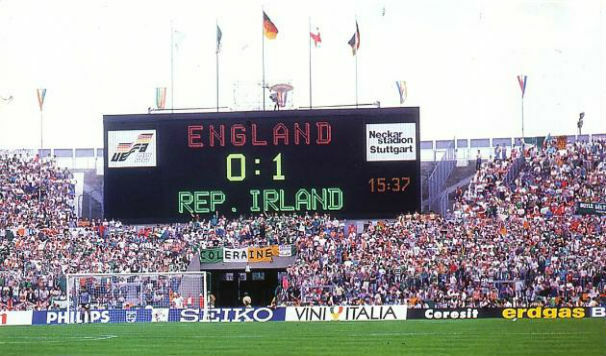 Ireland qualified for their first major tournament in 1988. The team was happy just to qualify, but their tournament began with a bang, as they stunned rivals England, one of the favorites in the tournament, 1-0 thanks to a 6th minute goal. Ireland would then impressively tie 1-1 with the Soviet Union, before losing to Netherlands, and being eliminated. England were also eliminated in the first round, without a single point, and scoring only two goals. Greece had only qualified for one Euro before 2004 , and had finished last in that edition. But, the Greeks started off impressively, upsetting hosts Portugal in the opening match, and drawing with Spain. In the quarterfinals, they faced defending champions France, who were ranked 2nd in the world, and 1st in Europe. A 65th minute goal saw the Greeks stun France by a narrow margin, and continue their improbable run to the semifinals. It wasn’t the end of the Greek upsets, either. 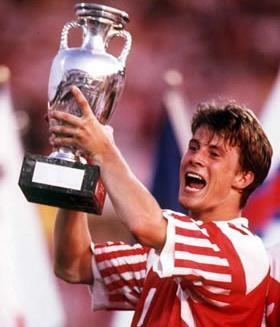 One of the greatest Cinderella stories in soccer history occurred to the Danes in 1992. Denmark had failed to qualify for the tournament, after finishing a point behind Yugoslavia in their group. But, a civil war in Yugoslavia forced FIFA to ban the team from the Euro, and replace them with Denmark. Danish Dynamite, as they are affectionately known as by their fans, made the most of their chance. They only scraped through their group, but stunned Netherlands on penalties to reach the final. There, they beat Germany 2-0, to win their first Euro, and cap a remarkable run. Denmark remained the greatest upset for 12 years, until the Greeks completed their own run. In the semifinals, Greece faced the hottest team at the tournament, the Czech Republic, who had cruised through the tournament. But, another 1-0 win booked Greece a rematch with Portugal in the final. Despite their earlier defeat, the Portuguese were heavily favored, with young star Cristiano Ronaldo. But, the Greeks would win yet another match 1-0, to complete the biggest shock in soccer history. They entered the 2004 Euro with 150-1 odds of winning, and ranked a lowly 35th, but walked out champions.